Sometimes the style and size of the chandelier itself also affect the height from which you should hang it. If you have an elaborate chandelier that takes up a lot of visual space you might want to hang it a couple of inches higher than the standard height. To answer this question, consider how the chandelier looks not just when you’re seated at the table but also how it looks when you enter the room or are seated elsewhere, such in a chair away from the table. 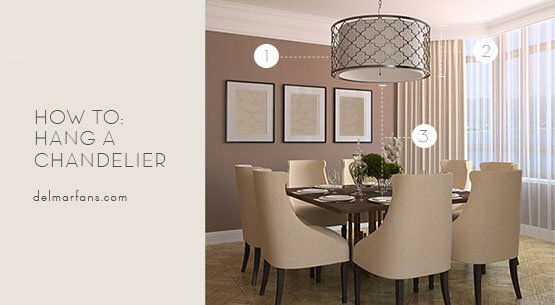 If the dining room is part of an open floor plan, consider how the chandelier looks from every commonly viewed angle. Don’t automatically install a junction box (the electrical box the chandelier hangs from) in the center of the room. Tables often sit to one side of a room where traffic flow is lighter, so center the box above the table itself. Also, don’t swag a too-long cord or chain across the ceiling; it will clutter up the look. Have an electrician move the junction box. With so many decorating concerns, it’s easy to forget why you have a chandelier in the first place: to light up the table. 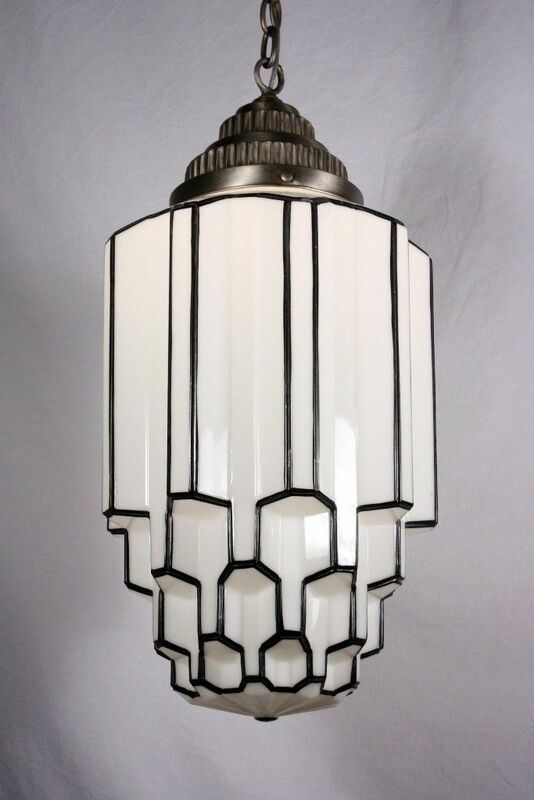 For this, there is no standard industry or decorating rule because each light is different. How light is cast onto the table is affected by many things, including the fixture design, the light bulbs you use, and, of course, the height of the fixture. 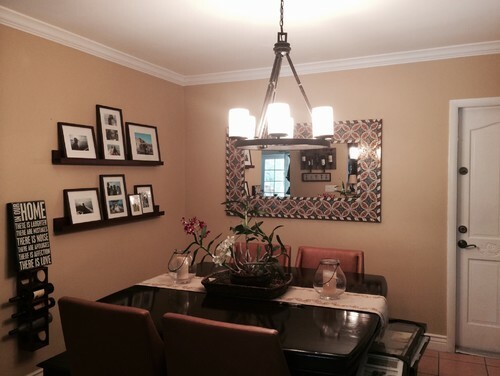 August 07 2015 How High Should I Hang My Dining Room Light Fixture? A dining room chandelier (or other hanging fixture) traditionally hangs above the center of the dining table and is a primary design feature in the room. This means that the chandelier’s height is important not only for its function as a light fixture but also for its role in the overall room decor. If this sounds more complicated than you had hoped, it probably is. But don’t worry: you can start with the standard height recommendation and make a few simple adjustments from there. And the fact is, you can’t really get it wrong; if you like how it looks and the lighting works well, you’ve done it just right. 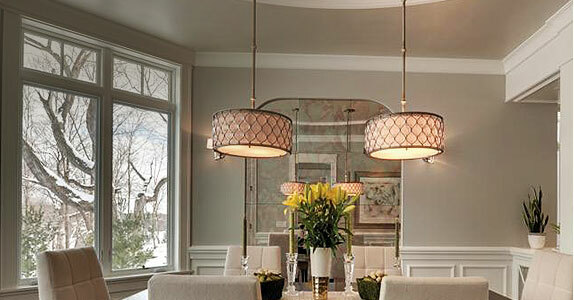 A chandelier in a dining room setting should be positioned in the center of the dining table and room proportions. Avoid purchasing chandeliers that are larger than the width of your table, as people may bump into it when getting up. A handy rule of thumb is that a chandelier should be 12 inches narrower than a table and have at least 48 inches of space from each of the room walls or edges. 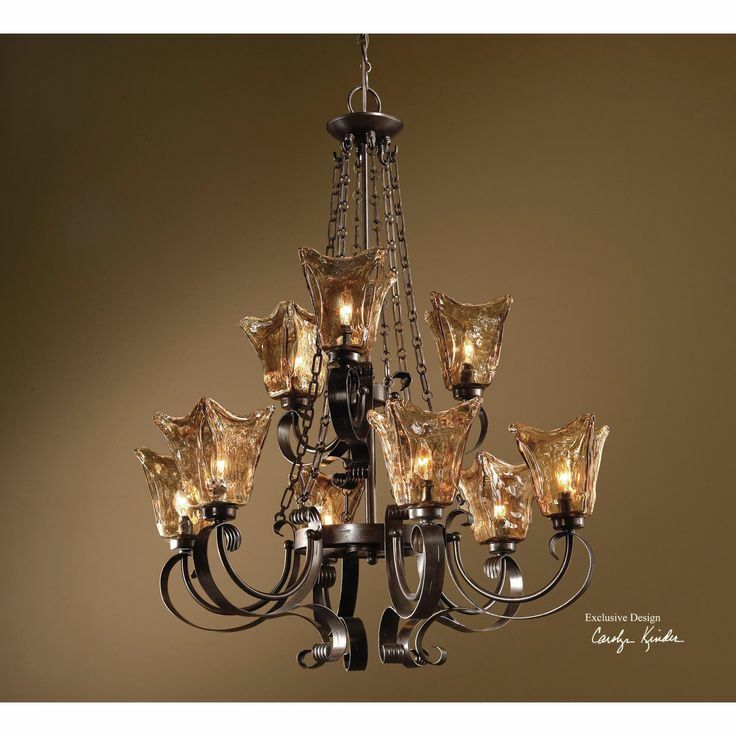 Hang a chandelier approximately 30 to 34 inches over a table with an 8 foot ceiling height. If your ceiling is higher than 8 feet, mount the chandelier an additional 3 inches higher for each foot of ceiling. Keep in mind that lighting from a chandelier that beams directly onto a person from above can cast unflattering facial shadows. The heat from bulbs directly overhead can also be uncomfortable. Avoid high wattage bulbs. They will increase the heat and cause excessive table glare. Try adding shades to chandelier candelabra bulbs or a wall dimmer to help you control the light and set a more flattering mood. When a chandelier has no central downlight, you can enhance the dining room table setting and centerpiece by using recessed adjustable fixtures with narrow beam bulbs. 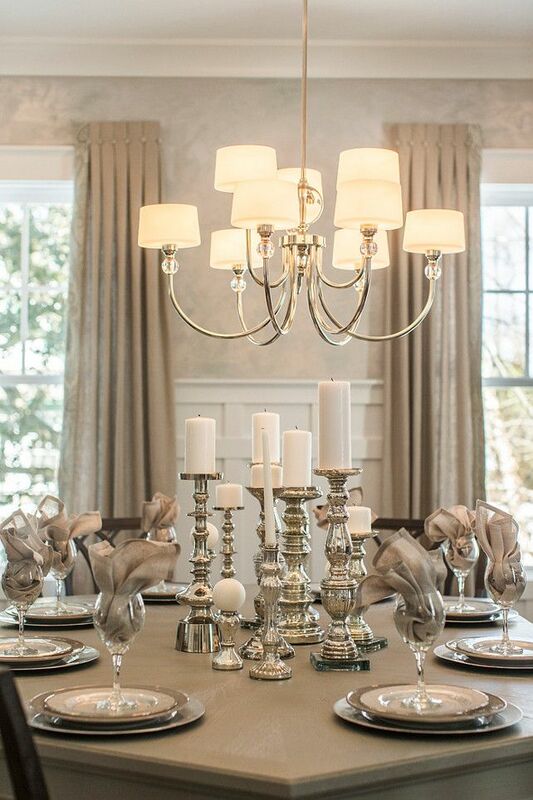 Aim these bulbs at a dining table centerpiece to create additional visual interest in conjunction with the chandelier. In an open lobby or larger foyer setting, a chandelier can provide an important transition from outdoor to interior spaces and set the mood for your entire home. Hang the chandelier high enough to illuminate stairways or side passages; about knee-level of the upstairs landing is a good standard. Chandeliers in a lobby setting can be wider or taller than dining room pieces so that they comfortably fill a space without appearing too small. You should also allow for at least 6 1⁄2 feet of clearance from the floor. 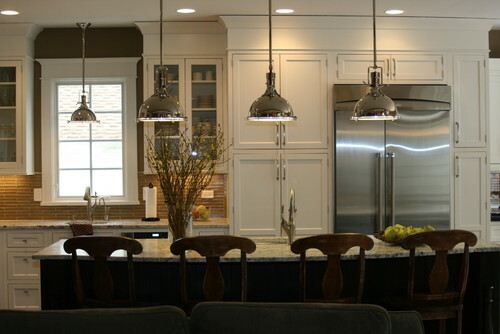 Pendant chandeliers for kitchen islands and dinette tables demand a little different approach. 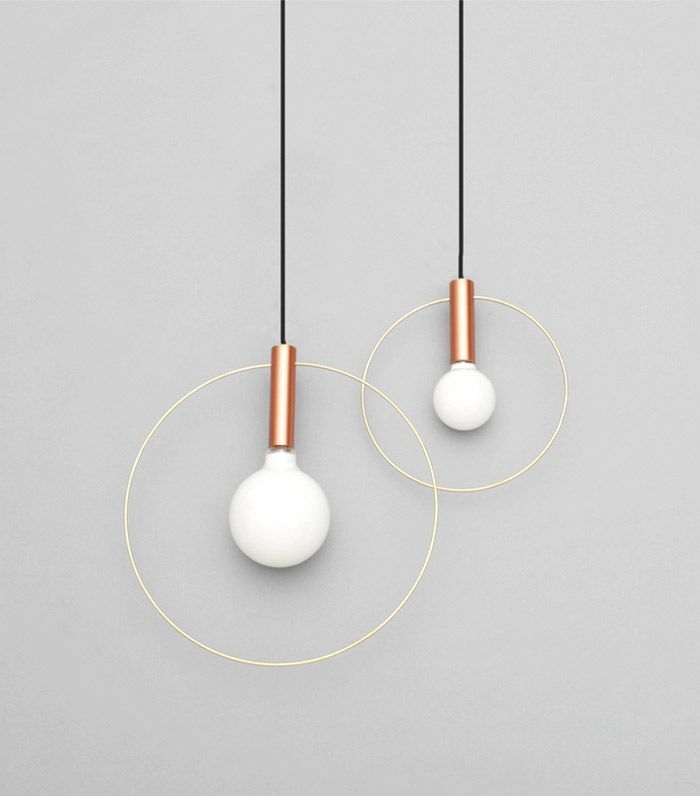 Depending on their arrangement and number, position the pendant 30″ to 34″ inches up from the table surface. 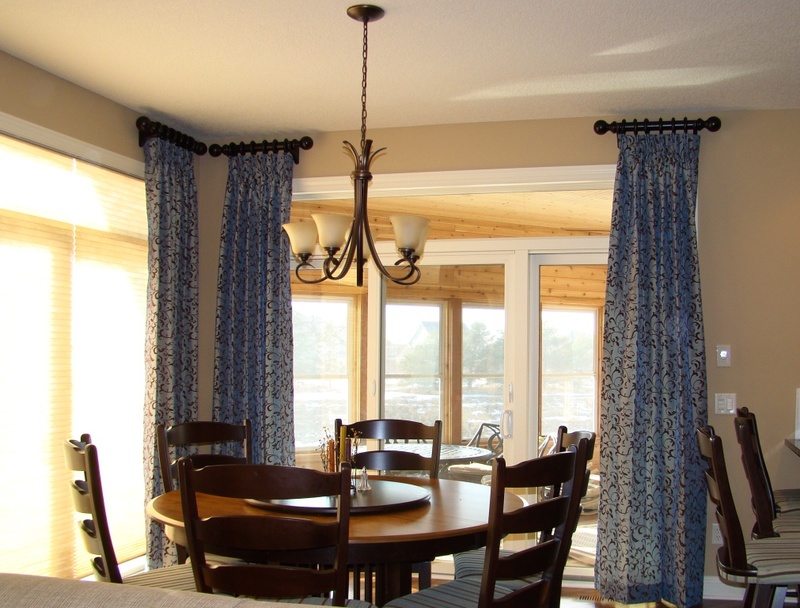 Dress up the hanging wire or chain of a chandelier by covering it in a narrow sleeve of fabric. Fabric should be three times longer than the chain to achieve a gathered appearance. A great idea for holiday looks! Staying within this range helps keep the table and chandelier in proper proportion, and it has an equally important practical benefit: it prevents people from bumping their heads when they sit down at or get up from the table. If your chandelier is relatively large for your dining table, you might want to hang the fixture a bit higher to prevent unpleasant collisions. 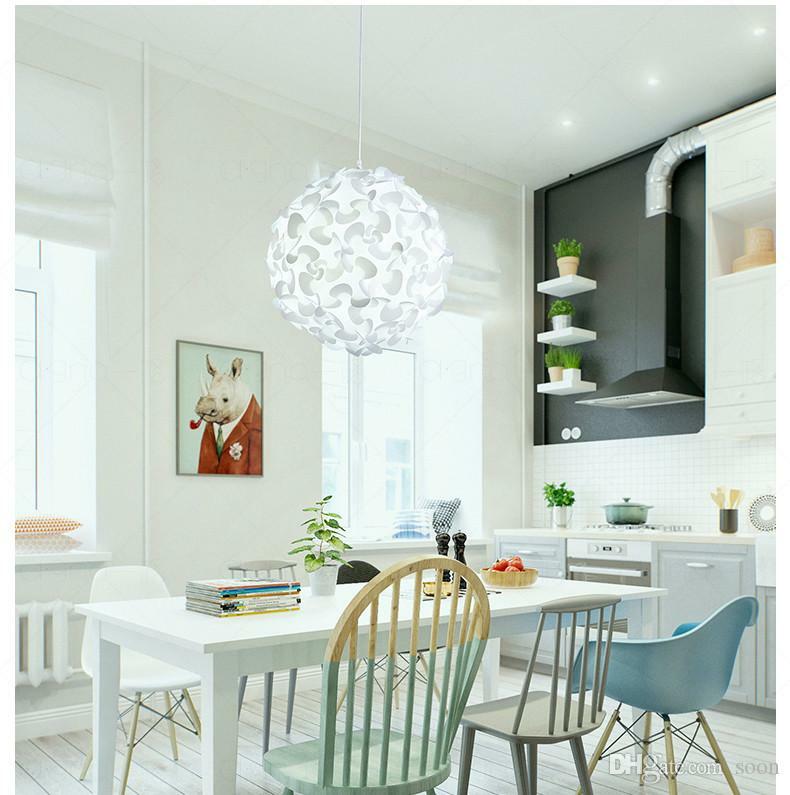 If your table is small, or unusually long and narrow, a series of small hanging fixtures, such as pendant lights, might work better than a single chandelier. See It. Touch It. Take It Home. Gallery See It. Touch It. Take It Home. The only reliable way to test the lighting effect is to plug in or wire up the fixture and hang it above the table, even if the installation is only temporary. 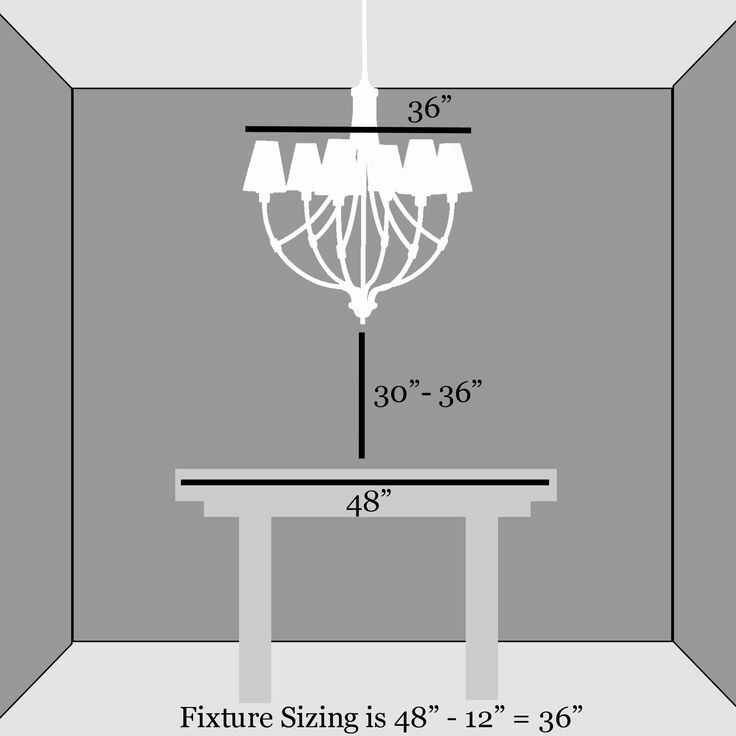 This allows you to test the fixture in all lighting conditions—day and night—and is, therefore, the best way to assess the chandelier height for all functions, practical and decorative. Some designers contend that the ceiling height shouldn’t dictate the height of the chandelier. This makes perfect sense if you consider that the primary role of the fixture is to illuminate the table. So why adjust for ceiling height or overall room size? The answer lies in the other principal role of a chandelier—that of a design feature. With this role in mind, the next question is, how does the fixture look best in the room? So you’ve decided on a chandelier and placed an order.what now? For starters, remember that lighting from a chandelier, no matter what the setting, should make a room, people, home furnishings and prized possessions look their very best. So it’s important to hang the chandelier in the right spot and at the proper height for maximum impact. The lighting industry’s standard recommendation for sizing a dining room chandelier is that the diameter of the fixture should be one-half to two-thirds the width of the dining table. Another way to size a fixture is to choose a diameter that is 1 foot smaller than the table width. For example, if the table is 42 inches wide, the chandelier should be no more than 30 inches across. The generally accepted rule for hanging dining room chandeliers is that the bottom of the fixture should hang between 30 and 36 inches above the top of the dining table. This range assumes you have an 8-foot ceiling. If the ceiling is higher, the recommended standard is to raise the chandelier 3 inches for each additional foot of ceiling height. For example, if your ceiling is 10 feet high, you might hang your chandelier 6 inches higher than you would in a room with an 8-foot ceiling. The standard recommendation is, of course, an average range, and there’s a good chance your chandelier will end up between 30 and 36 inches above the table, but before you settle on a height, consider the room size, the table size, and the light that’s projected by the fixture. In a bedroom, foyer, or living room, your ceiling fixture should be centered either in the center of the room, or in some cases, over a specific piece of furniture. For example, in a large bedroom, it’s fine to center your fixture over your bed. 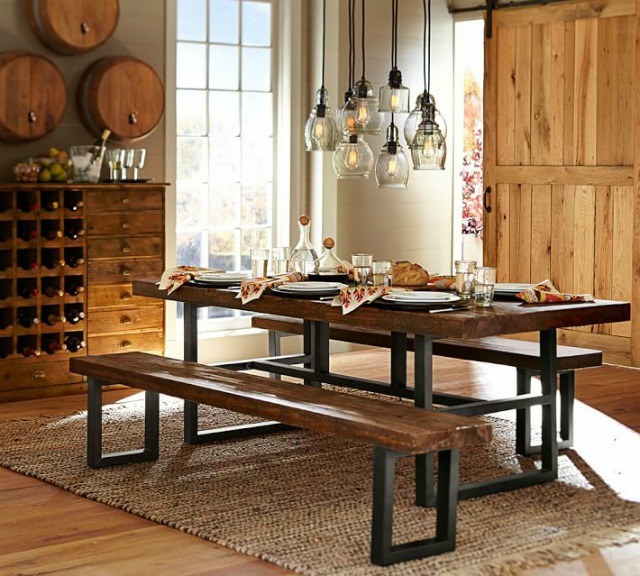 Place your fixture where it “grounds” the dining table. It shouldn’t look like it’s “floating” alone in the room. Hang it 30 to 34 inches above the tabletop or five to 5-1/2 feet from the floor.